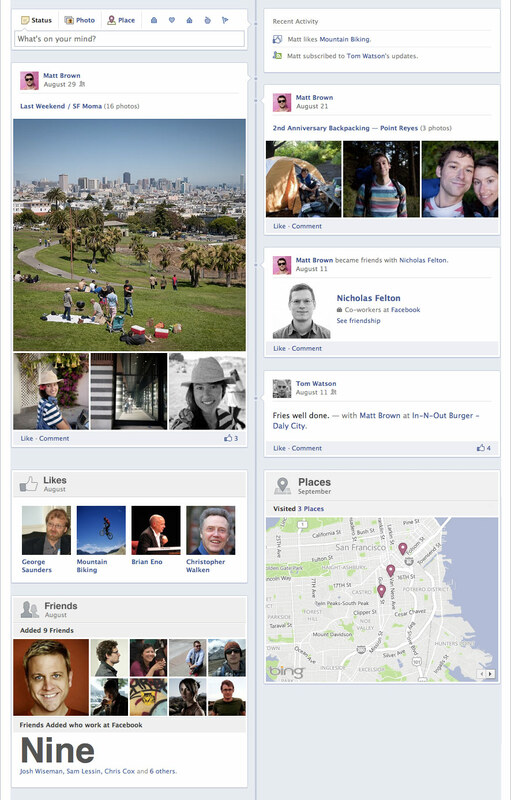 Facebook today announced a revamped profile called the Timeline at its annual F8 conference. The new Timeline takes the place of your profile and provides a realtime stream of everything you’ve done, all the way back to your ‘birth’. The timeline is a realtime stream that shows you all of the events, images and posts that are important to you, while hiding the items that it feels are not important. A sort of ‘automatic autobiography’. The Timeline lays out everything that you’ve shared from apps and maps to photos and status messages. There is also a large, wide new header that allows you to show off an image that you choose as a welcome mat of sorts for visitors to your profile. Your avatar is also still present. 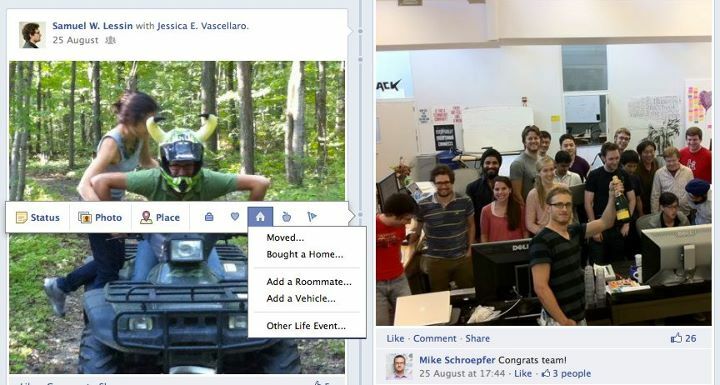 Zuckerberg also says that you have complete control over what is on the Timeline, where it displays and who can see it. 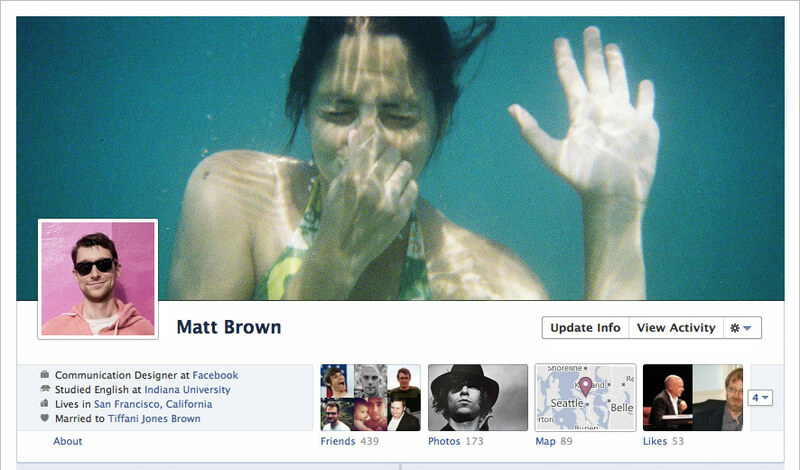 There is a heavy emphasis on privacy with this new version of the profile. If you missed an important event in your Timeline, you can go back and insert it at the appropriate point. Many of the new apps that work with Timeline are available today, but Timeline itself won’t be rolling out for a few weeks. There are a massive amount of changes coming to Facebook today so stay tuned. We’ll be covering them extensively.